Aegon Life Insurance (ALI) is committed as a responsible life insurer to pay out all genuine claims, while reserving the right to repudiate fraudulent claims. Every claim rejection is based on concrete evidences and the decision to reject is made by a high level committee of experts in the field of Claims, Operations, Legal and Underwriting. Despite this, ALIbelieves in providing a fair and unbiased opportunity to the claimants to make a representation against its decision. Such representation may be made to the Claims Review Committee of the Company. Should the beneficiary be aggrieved with our decision, a representation of the claim can be made to the Claims Review Committee of our Companywithin a period of 30 days from the date of rejection of the claim. 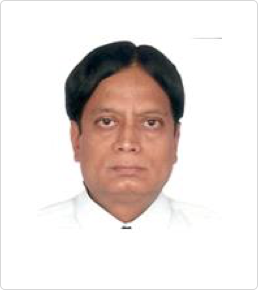 The Claims Review Committee is headed by an eminent external member, Mr R.L.Narasimhan. Mr R.L.Narasimhan was Managing Director & CEO of IDBI Trusteeship Services Ltd. Prior to this, he was the Executive Director (Legal) in LIC of India. He played an advisory role to various departments of Corporate, Zonal and Divisional Offices, Associate Companies and Foreign Entities on legal matters. He was the Editor of a Quarterly Journal “Legal Digest”, a publication of important decisions of Supreme Court, High Courts, NCDRC, State Commissions and also Central Information Commission. He was actively involved in the formation of new Companies/ Public Trust promoted by LIC. As the Compliance Officer of LIC, he established systems to monitor compliance. As a Member of Central Claims Review Committee in LIC (and subsequently in a Private Sector Life Insurance Company), he advised settlement of claims in appropriate cases, while deciding appeals arising out of repudiations. He was actively involved in Insurance related matters with the Life Insurance Council, the Finance Ministry, the Law Commission and FICCI. He was a Member of an IRDA Committee for framing Regulations / Rules, consequent upon the proposed amendments to Insurance Laws. He was a Nominee Director on the Boards of nine Companies. Currently he is a Consultant on Legal and Insurance domain. In case the Claimant is still not satisfied with the review and the decision of the Claims Review Committee, he may also approach the Insurance Ombudsman of the region for redressal. Click here for addresses of the Insurance Ombudsmen. Aegon Life Insurance is committed as a responsible life insurer to pay out all genuine claims, while reserving the right to repudiate fraudulent claims. We trust to reinforces our commitment to ensure a speedy claim settlement at a time, when you need it the most!